Welcome to A-1 Air & Gas Co. Manufacturer & Exporter of Air & Gas SystemsWe are an ISO & IS certified company, established in the year 1987, at Mumbai. Wehave spread our wings to Europe, USA & other industries. Specialized R& D wing, Offer flexible solutions & Cost effectiveness make us the firstchoice of our clients. Our product list covers Air Filters, Dryers & Nitrogen Generators. 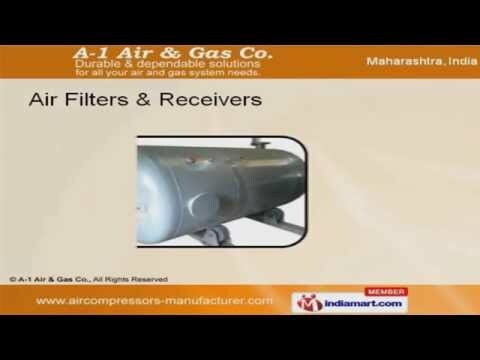 Air Filters & Receivers offered by us are widely appreciated in the market. Our Perfect Air Piping Systems are a class apart. We offer Air Compressors & Dryers that are in huge demand across the global markets. Along with that we offer Auto Drain Valves & after Coolers that are superior inperformance. We also provide Moisture Separators & Nitrogen Generators that are well known fortheir durability.